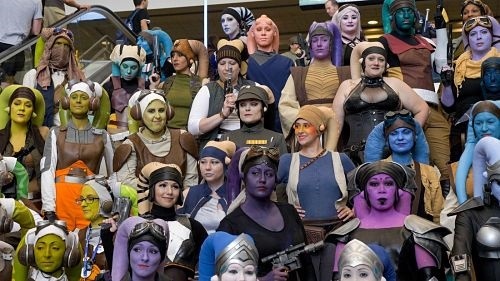 “Star Wars” is renowned for its iconic characters and imaginative storytelling, but perhaps the most dominating force of the franchise is the fans themselves. With a following that spans generations, everyone’s introduction to a galaxy far, far away — films, animated series, books, comics and video games of the Extended Universe and Legends stories — differs from person to person. The result is a global phenomenon of culturally diverse fans, each with their own stories to tell. That is where award-winning director Annalise Ophelian takes her cue. 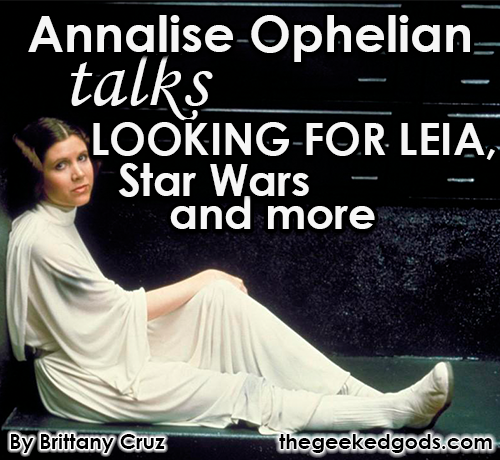 In a phone interview with The Geeked Gods, Ophelian talks about how she is moving the focus and telling “the story of ‘Star Wars’ fandom through a different lens” by spotlighting the female fan base with her upcoming documentary, “Looking for Leia.” The film will dive into the unique experiences of girls and women and how they navigate geek culture as “Star Wars” fans. That shyness has since disappeared, in part thanks to “Looking for Leia” providing her with the confidence to scream her status as a bona fide fangirl from the rooftops. Working on the documentary has given her the opportunity to observe and actively participate in female fan circles, making her aware of how much she continued to internalize her own fandom as an adult. “I don’t think that we often think of isolation until we get to experience connection,” she says. Noting the creative ways people find identity and purpose, she is adamant that these experiences are universal stories that everyone can relate to on some level. 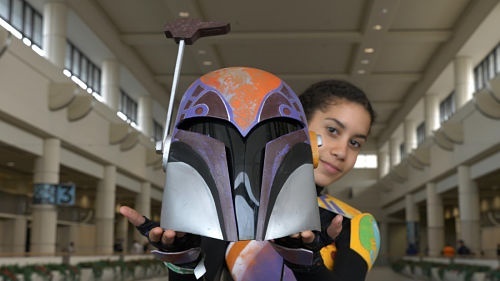 It was not until Ophelian attended her first “Star Wars” Celebration in Anaheim, California in 2015 that she discovered for herself how dominant the female fandom’s presence had become since those awkward days of adolescence. “I often conceived myself as being alone and adrift in a sea of fanboys,” she confesses with a slight chuckle. 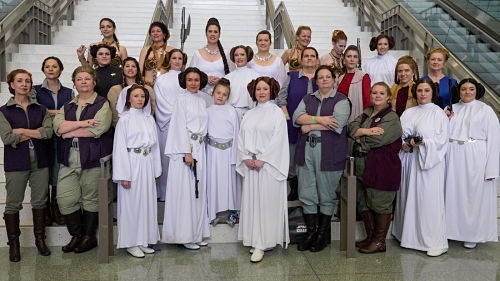 What some might consider a revelation, it was during her time at Celebration that she became curious how women of all ages express their love of “Star Wars,” sparking the idea for the documentary. Initially conceptualized as a road trip, she planned to speak with fans all over the country and conclude the journey by interviewing Carrie Fisher. Momentum on the documentary came to a screeching halt when news hit of Fisher’s passing in December 2016. The future of the project looked dim, and it appeared the idea was doomed to collect dust until Ophelian’s partner and editor on the film, StormMiguel Florez, encouraged her to push forward with production, suggesting the prevalence and timeliness of the topic could potentially bring fans together. Filming officially started earlier this year, and Ophelian has undertaken the task of bringing “a microphone to a passionate, diverse, compelling group of fans” who are frequently underrepresented. Reiterating that “who tells the story is of critical importance,” her natural inclination to highlight stories of gender and social justice no doubt derives from her background as a psychotherapist, holding a master’s and a doctorate in clinical psychology from the Wright Institute. “I feel like it is important to create documentation as a form of resistance,” she says. “The interviews that I’m getting to do with this project just routinely blow me away. There is so much richness in these stories, and I’ve often said that this is a feature film that really deserves a series,” she says. Ophelian did not elaborate if she has any definitive plans to make a series about women in geek culture, but she insisted that “there’s just so much more to tell” than a single feature film allows. Perhaps the only thing that rivals her excitement of seeing women thrive in their respective fandoms is the relevance “Star Wars” continues to have with modern audiences. Her bright-eyed enthusiasm is contagious as she reflects on the current pop-cultural landscape. “We’re now at this commercial moment where the market is just so fabulously saturated with ‘Star Wars’ things. I don’t leave my house on any given day without seeing someone in the world wearing a ‘Star Wars’ shirt,” she says with a delighted laugh. Inevitably, this means what was once her “quiet, personal geekdom” has become the norm at a time when superhero movies reign supreme and “Star Wars” has permeated just about every corner of the consumer market. It is a golden era of geek culture that Ophelian’s younger “bossy, dark-haired” self would have adored, having been greatly influenced by the pioneering heroines of the late ‘70s and early ‘80s. She cites “a quadrangle of female protagonists” who shaped her early sense of self, throwing around names like Lynda Carter as Wonder Woman, Sigourney Weaver as Ripley, and Karen Allen as Marion Ravenwood (stumbling over the word Ravenclaw a couple of times in true “Harry Potter” fangirl fashion). Of course, a list of strong-willed and intelligent female characters would not be complete without the galaxy’s most beloved royal rebel, Princess Leia. When prompted to share her thoughts on the bun-haired space princess, Ophelian’s admiration for the character, whose personality often overlapped with Fisher’s witty sarcasm, is evident. 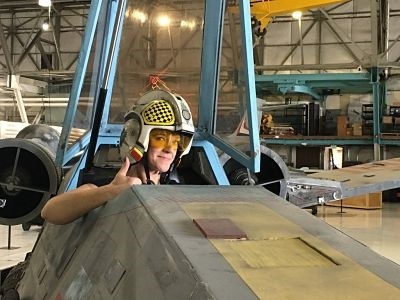 “Looking for Leia” is currently in production. Learn more about the documentary and how to support it by visiting the official website, lookingforleia.com.